AUSTIN, TX. Back in The Day, circa 1980, living in an un-air conditioned sweat box a few clicks west of the UT campus, my roomies and I drank beer to get drunk and hydrate. We didn’t sip, we slugged. We didn’t taste, we chugged. The brand didn’t matter – Texas Pride, Pearl, Lone Star, Buckhorn – as long as it was cheap and very, very cold. But in time this herd animal began to aggressively seek new pastures. It was Austin and punk rock was the rage. Conformity had become the enemy. So I ventured out and tried Shiner Bock, a darker beer, brewed with artesia well water and a darker malt in the tiny town of Shiner about 70 miles south of Austin. Shiner back then was reputed to be a low-grade beer. 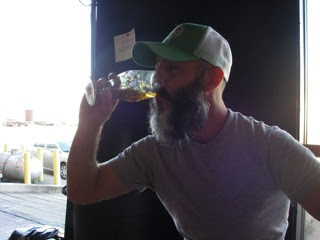 “The dregs from the kettle.” It tasted fine to me – had a bubbly mouthfeel – but looking back it became my beer of choice mainly because it became associated with the Austin counter culture. Ok, Shiner was also kind enough to sponsor the first bike racing team I ever joined (10 kegs a year!). I just returned from Austin, 30 years after my first Shiner Bock. Shiner’s no longer considered the beer of choice among deviants, nihilists and nutjobs. It’s gone mainstream. It’s been replaced by a bevy of beers that are being brewed right there in the heart of Austin by an expanding coterie of edgy, creative craft microbrewers. Talk about a delight. Craft is everywhere – in the bars, restaurants, liquor and grocery stores. Texas got a late start in the revolution courtesy of the capitalism-hating, monopoly-loving Texas legislature, which to this day forbids microbreweries from selling beer directly to the public. It’s not all surprising that craft – the little engine that could – would take off in Austin, a progressive college town which brought us Whole Foods. In a town of about 800,000, Austin boasts three microbreweries: Live Oak (the grand daddy, established circa 1993) and newcomers Independence Brewing and (512) Brewing Company. Other microbrewery upstarts include Black Star Co-op, Thirsty Planet Brewing, and Jester King (spanking new). Brewpubs include Lovejoys, North by Northwest Brewing and the Draught House Pub, which has been offering an impressive variety of beers since 1968 (try their Hop School IPA, which showcases Citra hops). I spent a couple of days visiting with the brewers at Live Oak, Independence, (512) and Black Star. 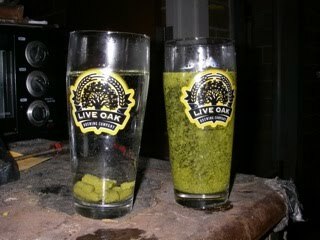 We tested out Indie Hops coarsely ground, ¼ inch Type 90 pellets against the pellets they’re using, a fun little test which by now you’ve read about. 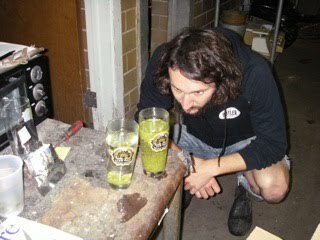 I have to give a shout out to Justin Rizza, the brewer for Independence. He studied the way our pellet particles slowly fell and then slowly burbled back up to the surface, creating a self-perpetuating loop. “It’s like a … lupula lamp,” he observed, wondrously, referencing the iconic lava lamp which, to this old dog, in combination with a few Shiner Bocks and Willie Nelson’s “Star Dust Memories” on vinyl, proved to be a strong aphrodisiac to the one maybe two ladies brave or desperate enough to venture into my lair over there at Radkey Manor back in The Day. But that’s another story. I called Justin a week later. He was intrigued enough with the experiment to store the pints of hops in his fridge to see whether his supplier’s hop pellets would eventually separate. They did break up eventually, he reported, but the differences between the dispersion, oil suffusion and aroma remained stark. Without belaboring the point, it’s this budding hopmeister’s opinion, based on field experimentation at four breweries in Austin, that my brewery friends in the Violet Crown City are not getting the best hops from Yakima. In general, the pellets were rock hard, shiny, powdery and insipid. In short, there’s big room for big improvement. 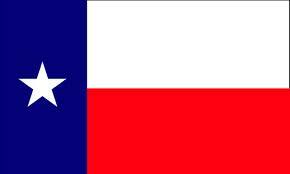 The craft revolution in the Lone Star State is gaining speed. Texans are less motivated to choose a beer based on price and temperature alone. Austinites, in particular, are beginning to demand farm fresh quality. They’re unlearning their habit of washing down that plate of Tex-Mex cheese enchiladas with a generic hopless Mexican beer. Hey, this is personal. Austin is an oasis in a desert of industrial lite beer drinkers. It’s the epicenter of the movement, and to fan out eventually towards El Paso, Beaumont and Lubbock, it’s got to be driven by game-changing taste. The revolution cannot be won with rock hard, dull and dried out hop pellets. 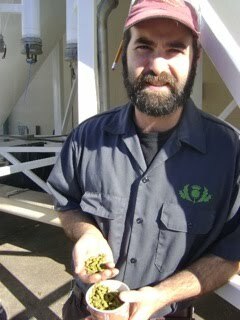 This hopster, who was raised in Corvallis, Oregon but schooled in Austin, Texas, stands ready to help lift the quality of all Texas craft brewed pints with the finest, oiliest and fattest hop pellets from that green little state in the Northwest, where they’ve been growing the finest aroma hops and brewing some of the finest craft ales for decades. Getting better at football, too. Portland, OR. We’ve been asking for brewer feedback and we got some. MacTarnahan’s, which has been brewing award-winning craft brews in Portland since 1986, heard about our new hop pellets and decided to test them out against their current inventory. 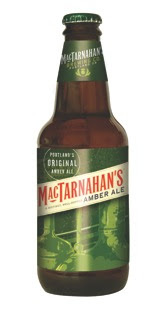 Everybody knows that MacTarnahan’s flagship beer is their Amber Ale, which is truly an Oregon original. This bold, copperish “English style” pale ale showcases Cascade hops and Cascade only. They’re used for bittering, aroma and they dry hop with it as well. Talk about your all-purpose utility hop. 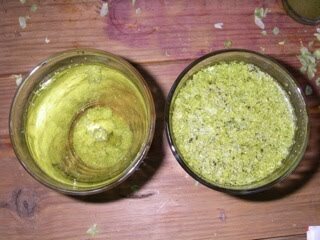 First, natural ingredients, like hops, over time, can lose their edge (or “brightness”). Heck, hop flavor can swing from the same variety during the same year from the same farmer but grown on different farms or harvested at different times. Second, whether you’re on top or trying to get there, complacency is the enemy of progress. Yes, yes, there are those who would fall back on the old nostrum – if it ain’t broke, don’t fix it. Sounds good, but leaving well enough alone in the ever-changing craft beer world sometimes just isn’t good enough. So imagine our surprise, and elation, when veteran brewers Tom Bleigh and Vasili Gletsos (the new Head Brewer for North American Breweries(NW Divison/Portland location), which owns a bunch of crafties, like Magic Hat, Pyramid and MacTarnahan’s), informed us that they wanted to pit our Cascade pellets against their current vendors’ in test batches of their most popular brew, Mac’s Amber Ale. 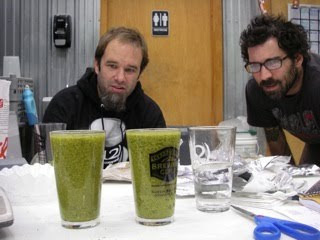 According to Tom, Plant Manager of what most people know as the Portland Brewing Company, tinkering with a winning recipe in the pursuit of perfection shouldn’t come as any surprise. Although his brewery is under new ownership, the commitment to excellence, he says, has actually gone up. 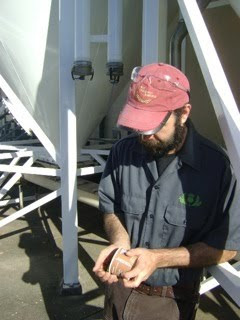 Tom acknowledges that getting hops right is a full-time job. It’s never one thing, he says. Instead, it’s a combination of factors that lead to desirable hops, from the farm, to the harvest date, to the pelletizing, to the packaging, to brewing, to the bottling and finally to the delivery and pour. The experiment went down like this. Macs brewed up three batches: two using Cascade pellets from two existing vendors, and one using Indie Hops’ 2009 Cascade Pellets. They chose their Amber Ale as the medium. And, to evaluate how or whether the hops would perform under actual “battle field” conditions, they subjected the three batches to a “force test.” They exposed to the beers to the type of peak heat temperatures that would basically simulate a six pack getting locked inside the trunk of a car in August for a few days (not that any customer would do such a thing to Mac’s Amber Ale, or any good ale for that matter). The idea was to speed up the oxidation process that naturally occurs under predictable conditions. 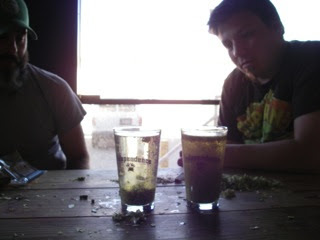 In total, three test brews split between “fresh” and “forced” conditions. After evaluating the brews internally, Tom and Vasili invited Indie Hops over to wet our collective whistles and – and this is the sweaty palm part -- put our money where our mouth is. They didn’t tell us what was what, of course. They wanted our no BS feedback. How did it turn out? Did Jim and Matt agree on the winner? And who was the winning hop merchant? Indie Hops or our friends up North? Well, let’s just say that it’s better to be good than lucky. We’re thankful to Tom and Vasili and all the guys and gals at MacTarnahan for putting our theories to the test. Feedback is great, but validation is awesome! 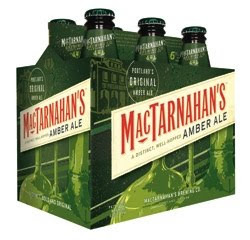 With a proven winner like Mac’s Amber Ale, is it possible to increase expectations? We think so. In the war against mediocre beers, there’s no room for complacency.